With the number of skeletons in Geneva this week you’d think it was late October. At the Salon International de la Haute Horlogerie (SIHH) 16 brands are showing their latest timepieces, and many of them are dial-free, or nearly so, as companies as different in their approaches to watchmaking as Roger Dubuis, Ralph Lauren, Cartier, Parmigiani Fleurier and Piaget each debuted skeletonized timepieces. 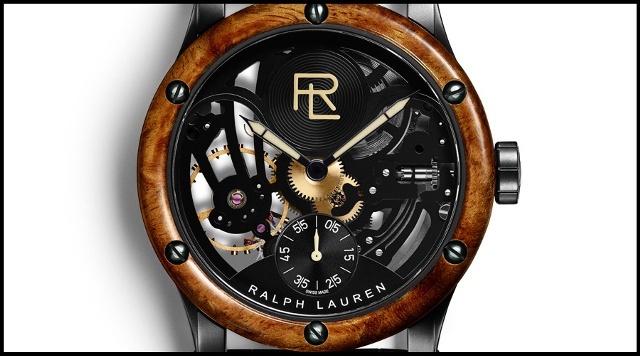 Ralph Lauren’s Skeleton Automotive Watch opens up its horological hood, showing off its black-plated manual-wind movement with no dial, and surrounds it with a steel shot-blasted case and a brand-distinctive amboyna burl wood bezel. It’s the brand’s first open-work movement, and also features the new RL logo emblazoned on the barrel. 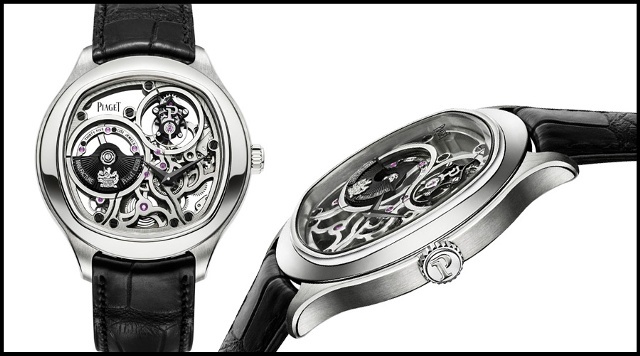 Parmigiani Fleurier skeletonized its Tonda 1950 model, clearly showing off the watch’s nicely decorated platinum rotor. One model offers a clear view of the decorated movement while another more feminine example frosts (with a grained white finish) the sapphire dial. Among Cartier’s many new Fine Watchmaking models is its new 45mm skeletonized Rotonde Grande Complication, which the brand considers its most complex watch ever. 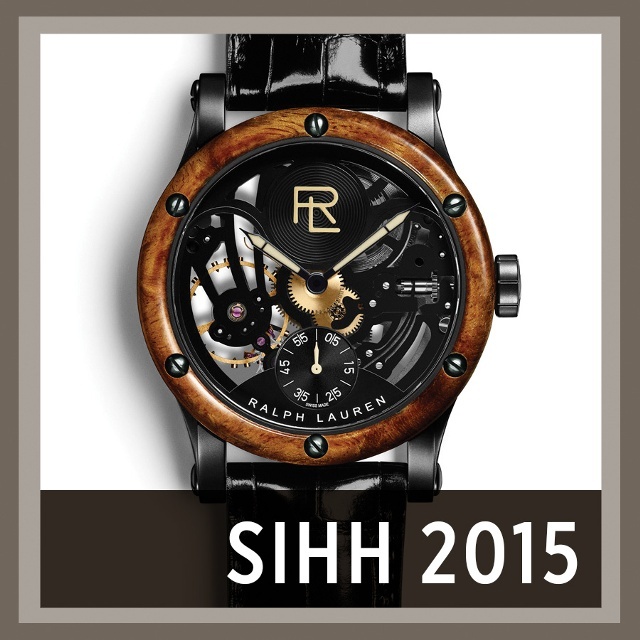 It combines a minute repeater with a flying tourbillon and a perpetual calendar and features a micro-rotor. 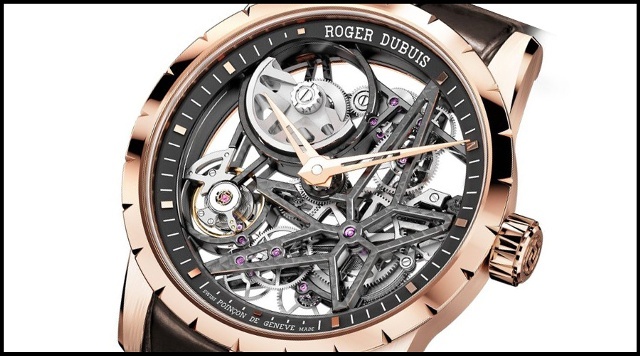 Roger Dubuis, which also features micro-rotors for its automatic models, this year shows one clearly on its 42mm pink gold Excalibur Automatic Skeleton, which is a premiere skeletonized automatic Roger Dubuis movement that also open-works the micro-rotor. You will find a micro-rotor inside the Piaget Emperador Coussin 1270S, which Piaget calls the the world’s thinnest ultra-thin tourbillon automatic skeleton watch, with a case 8.85 millimeters thick. The skeleton model is actually an inverted design with the movement itself made of gold, in two versions: white gold and pink gold. The cushion-shaped ultra-thin (5.05 millimeters) tourbillon automatic skeleton Calibre 1270S was also designed specifically for the cushion-shaped case housing it. Other major debuts noted thus far include Montblanc’s Collection Villeret Tourbillon Cylindrique Geosphères Vasco da Gama, a hand-wound mechanical movement with one-minute tourbillon and cylindrical hairspring; triple time zone with local-time, home time and worldtime indication. Its most obvious feature are two globes that illustrate the passage of the days and nights in the Northern and Southern Hemisphere. De Gama features in several new Montblanc pieces, including the brand’s related Heritage Chronométrie ExoTourbillon Minute Chronograph Vasco da Gama, which features an upper dial embellished with a slice of aventurine and small dots that recall the night sky. 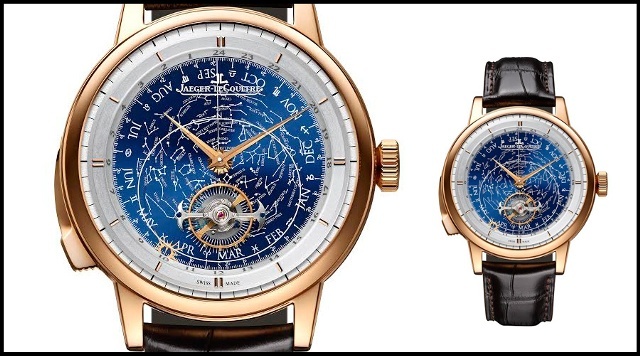 Jaeger-LeCoultre focus its 2015 debuts on astronomical themes, with several moonphase models —and much more. Its Master Grande Tradition Grande Complication is entirely dedicated to astronomical time measurement. 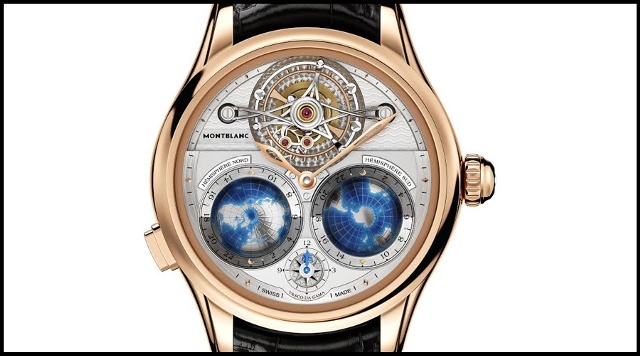 It offers a flying tourbillon and a dial that reproduces the sky chart of the Northern hemisphere. Here, the tourbillon does not indicate the passing of civil time, but sidereal time. Oh, and the watch is also a minute repeater with crystal cathedral gongs and trebuchet hammers. Up next: Vacheron Constantin’s Harmony collection, already named by more than a few observers here as a among the show’s most impressive debuts, serves up a new cushion-shaped series of models that features five new Geneva-Seal calibers: several monopusher chronographs (including what the brand hails as the the world’s thinnest monopusher split-second chronograph), a dual-timer and a ladies chronograph.